24in48 Winter 2017 Readathon Sign-ups are Open! We are 22 days from the start of the next 24in48 readathon! With the holidays, I postponed this sign-up post but I just can’t wait anymore. Mark your calendars for January 21 and 22, 2017, ready your book stacks, and prep your reading nests (yes, you do need that extra blanket). 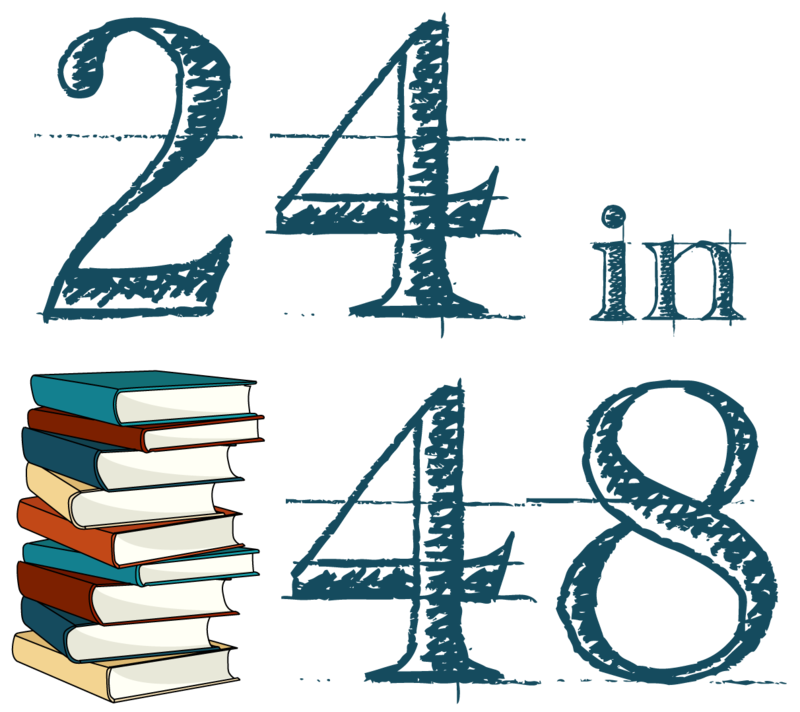 If you’re new to 24in48, this is the basic gist: beginning at 12:01am on Saturday morning and running through 11:59pm on Sunday night, participants read for 24 hours out of that 48 hour period. You can split that up however you’d like: 20 hours on Saturday, four hours on Sunday; 12 hours each day; six four-hour sessions with four hour breaks in between, whatever you’d like. And you can follow the readathon in all the normal places. We’re on Twitter, Instagram, and Litsy (@24in48) and you can use the official hashtag #24in48 everywhere to keep up with your fellow readathon-ers. Hi Maggie, the dates were announced back in July at the end of the last readathon. The next readathon will be announced at the end of this readathon. Definitely stay tuned here the day after readathon ends to put the next one in your calendar. I am looking forward to my initial 24-in-48. I am so ready for this. I’m telling everyone to pretend I am away for the weekend! So excited to participate again! I’ve had it on my calendar since the last one! So excited to participate in this read a thon for the first time. This is my first readathon as well! Just signed up pretty last minute! I had heard about the last one too late and wanted to make sure I didn’t miss this one! This will be my first readathon! Thanks to Christie! I am joining for my first ‘thon!